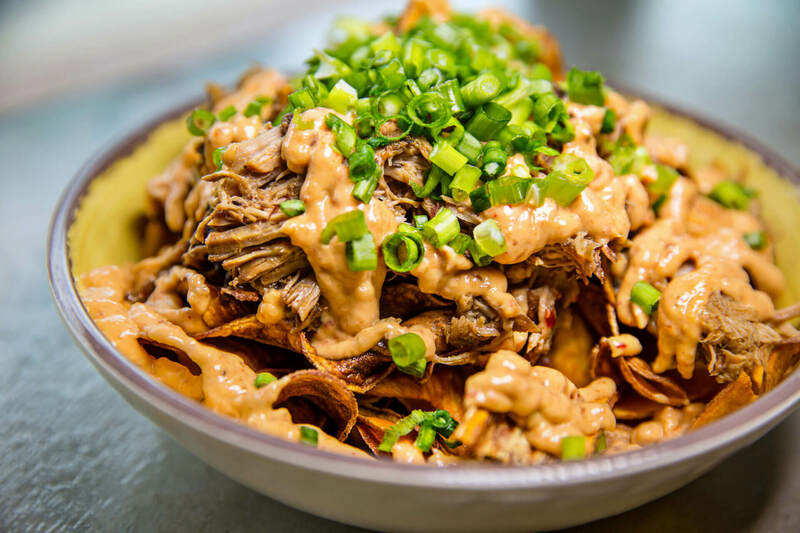 Crafted: The Art of the Taco uses deep-fried sweet potato chips for this recipe, but you may substitute oven-baked sweet potato chips or fries. Place all ingredients in a blender and blend at low for 10 seconds then increase to medium speed and blend for 5 seconds. Spread sweet potato chips on a large tray or sheet pan. Evenly spread pork over sweet potato chips. Drizzle with aioli. Sprinkle scallions over the nachos.